February 3, 2016 January 26, 2016 by Beau H.
Ahh, the shawl cardigan — that masculine style essential that I find myself turning to time and time again. It simultaneously combines a rugged edge and old-school vibes (in the case of this piece, a cable knit) with new-school cool — in a slim cut, it can definitely be dressed up or down. It’s the type of piece I find myself wanting to wear far too often, simply because it looks great with lots of different pieces — be they slim chinos, dark denim or some colored jeans fit for the office or the weekend. 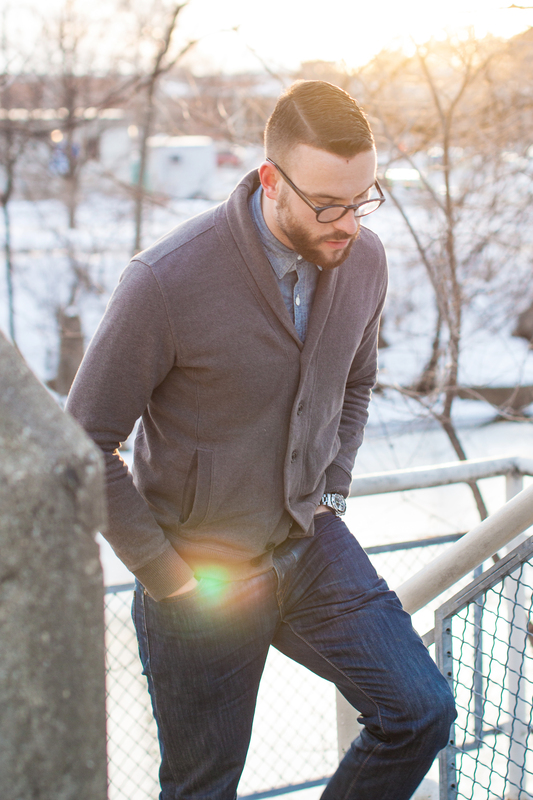 And lucky for the both of us, the fine folks at JackThreads, makers of the cardigan you see below, are stocking a terrific pick-up at a steal of a price (as it seems with most of the brand’s offerings). Here’s but one way in which to wear it! Let’s see if you’d style it in a similar manner, yeah? Taking a rugged style essential and mixing in rich color and texture. 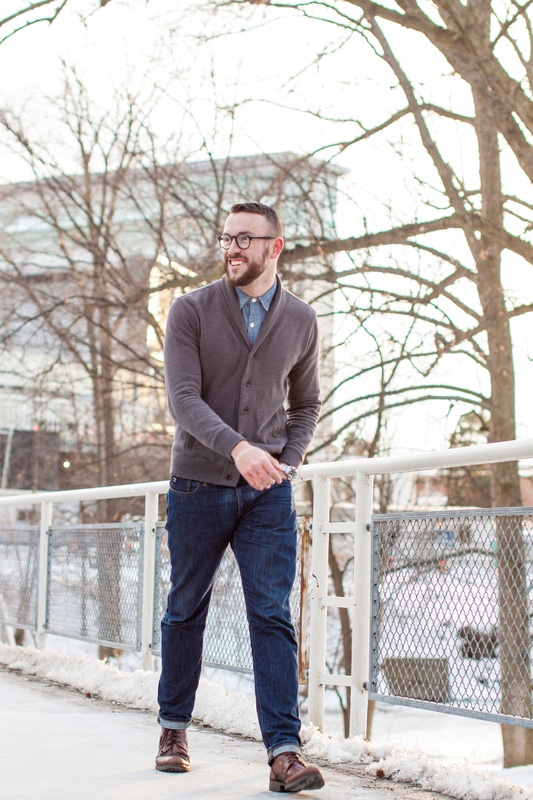 The Shawl Cardigan: JackThreads Cable Cardigan, $51.75 (On-Sale) — A terrific navy color plus that great cable knit texture (and the essential shawl collar) at a winning price. The Denim: Bonobos Dark Roast Travel Jean, $108 — Pricier than a pair of Levi’s, but Bonobos Travel Jeans bring quality in spades — plus the deep brown color here is excellent. The Shirt: JackThreads Slim White Oxford Shirt, $49 — Another super-solid JackThreads pickup at a standout price — this is your everyday white Oxford. The Boots: Dr. Scholl’s Burke Lace-up Boot, $155 — I’ve said the before and I’ll say it again: Who knew Dr. Scholl’s made men’s boots? This pair is lightweight and stylish, and they’re a solid way to mix black and dark brown (which CAN be done). The Socks: J. Crew Medium-Dot Cotton Socks, $14.50 — A bit more expensive than a standard Wal-Mart pair of socks, but they’re much comfier and offer a solid change of pace in terms of color — even though they’re blue! The Belt: Will Leather Goods Marlow Belt, $75 — As first seen in this site’s New Year’s Eve Style Suggestion; it’s got texture that falls in line with the watch, and a sleek black color to fit the boots. Again, black and brown can work together in dark shades like this! The Watch: KOMONO Winston Herringbone Watch, $99.95 — As reviewed here; there’s hardly a better price for a seasonally appropriate watch that adds some great visual interest to this ensemble. So we mix in lots of texture, from the cable knit of the sweater to the herringbone watch to the suede belt, and ground it with a classic white Oxford and saturated dark brown jeans — good enough for just about anywhere, right? 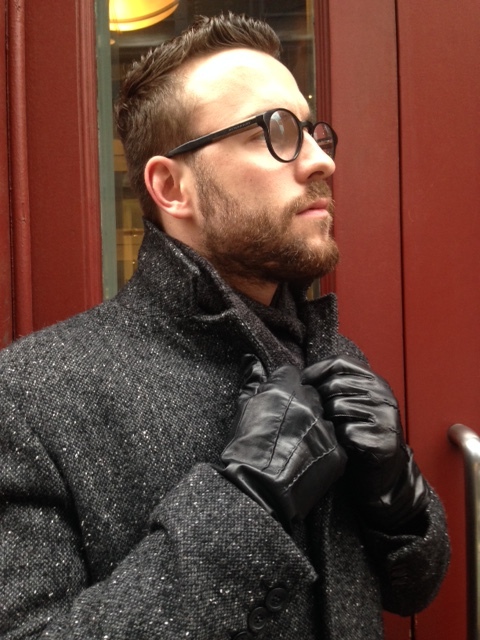 Don’t forget to top it off with a slim topcoat and some warm winter accessories. 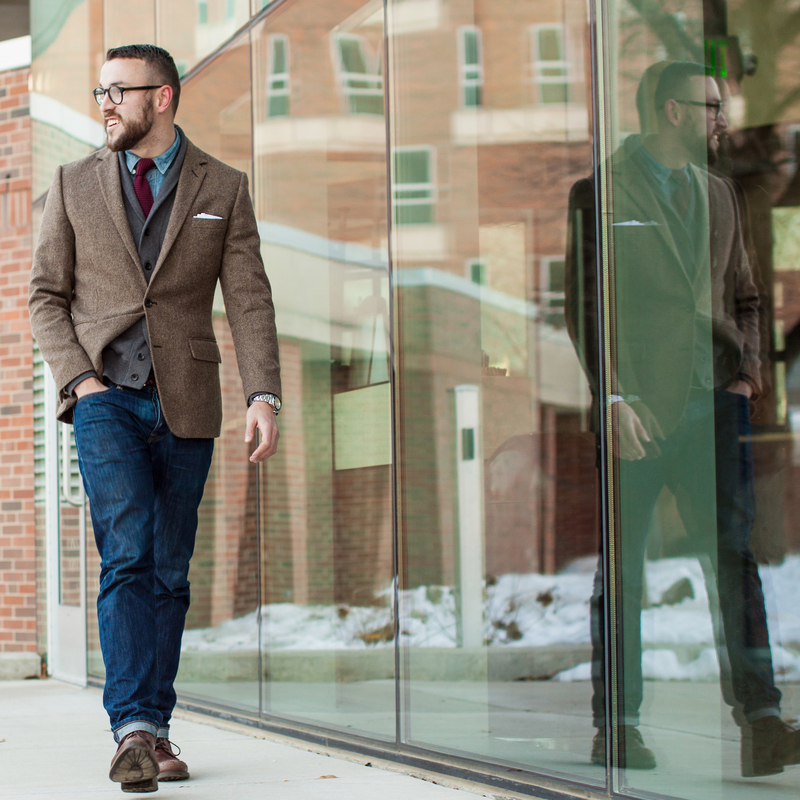 Have suggestion as to what you want to see in these #OOTD entries? Send me an email or drop me a line on Twitter. December 9, 2014 by Beau H.
A budget, fast-fashion brand with some nice steals. Editor’s note: Normally, brand or site round-ups haven’t been covered here on the site. However, sometimes seasonally appropriate or standout items just jump off the page. These choices don’t reflect sales picks at the moment, but simply offer a snapshot of great products from a (hopefully) affordable brand. 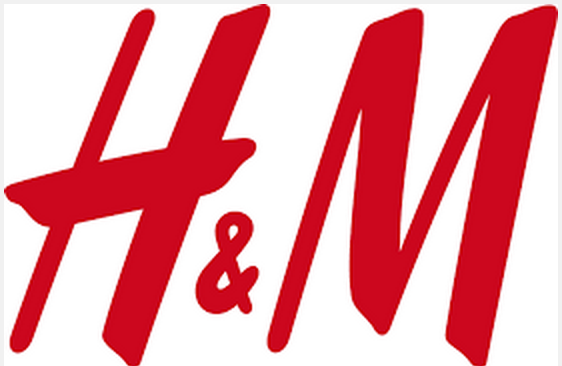 H&M exists in kind of a funny spot as far as fashion brands go. They’re clearly part of the cycle of fast-fashion retailers who pilfer ideas from larger, more successful retailers and offer their own versions at lower prices (this means, of course, cheap labor). At least on paper, they’ve been making progress in that arena. And on the clothing end, you tend to pay for what you get — their products aren’t ridiculously well-made, but they look just as good as more expensive brands and can definitely work in a pinch. Like other fast-fashion brands (Zara comes to mind), there are misses on the shelves and online — but some gems, too. Check out key picks below. A seasonal sweater at an excellent price. Merino wool is a great in-between fabric for V-neck sweaters — it’s not as expensive as cashmere or cotton-cashmere, and it still provides more depth and heft than a lightweight cotton sweater. This H&M option is quite the steal for their site. It’s was on-sale last week but the price has jumped back up — however, there are nearly all sizes available across five different colors. The gray black or ‘khaki green’ picks would be wise choices for their versatility, while the burgundy and evergreen options offer perfect seasonal tonality. A cream color that would sit well with solid neutrals, like a great pair of blue jeans. While the site is all sold out of the navy option (which wouldn’t look out of place when worn this way), the cream option provides something most sweaters don’t — a nice jolt of bright color in the winter (not that there’s anything wrong with darker colors — option #1 here, for instance). The shawl collar and texture through the body are different visual touches that call to mind an old fisherman’s sweater without the thicker cable knit pattern. This would pair well with dark denim or some burnt-orange chinos (as featured in last week’s Thanksgiving style piece) and a chambray shirt. 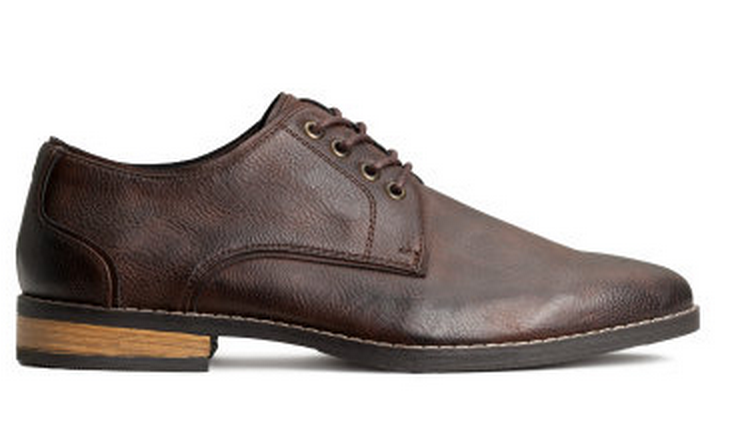 A basic brown dress shoe that would work for most business-casual situations. H&M definitely isn’t the first place you should turn for quality footwear – DSW provides many brands that are a step up in quality for just a bit more coin, for example. But if you’re on an extreme budget and need a good pair of basic, reliable derby shoes for business-casual wear (get a breakdown of shoe terminology from Dappered), it couldn’t hurt to throw these in your cart. The metal eyelets do make this shoe more casual, but they should still work with more ‘casual-dressy’ pieces like a crisp knit tie. A word of warning: The company’s site even points out the shoes are made with imitation leather, so this could lead to a rather quick weardown. However, they shouldn’t fall apart right away on you, and could work in lots of different scenarios, especially with tan chinos. This shirt looks eerily similar to a Frank & Oak piece, but at a lower price. 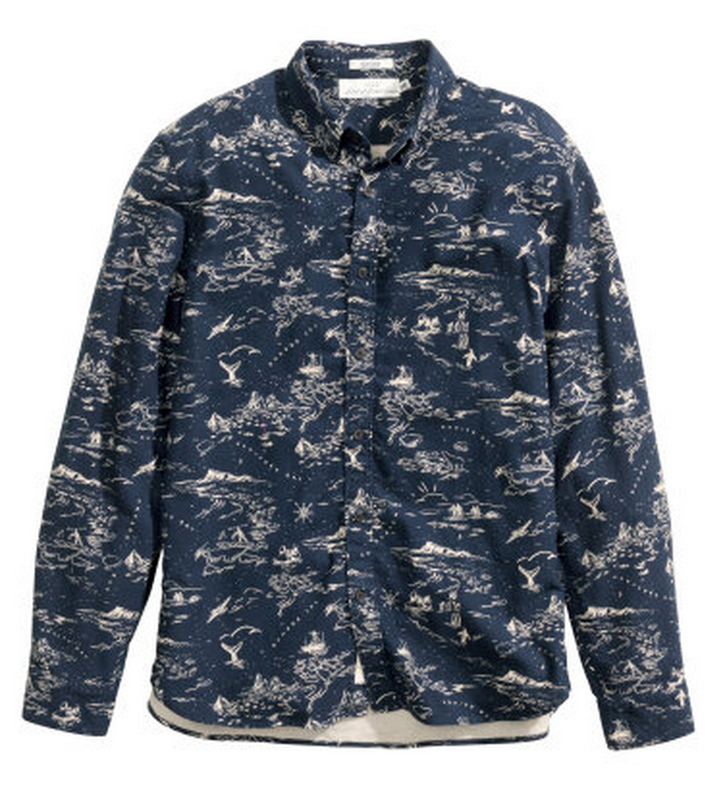 I don’t personally have a lot of experience with H&M shirts, but the higher price point on this piece might bode well for its quality. The other thing that jumps out is the similarity (generally) to another printed flannel shirt on the market now from Frank & Oak. Prints now seem to be moving towards more and more graphic-based, busier and bolder looks, so grabbing a fall and winter-weight shirt at a lower price should definitely be appealing. This shirt, despite the busy print, could work under a tan herringbone blazer, and grey worsted wool trousers would also bring out the varying shades of blue well. A trendy pair of footwear at an agreeable price. 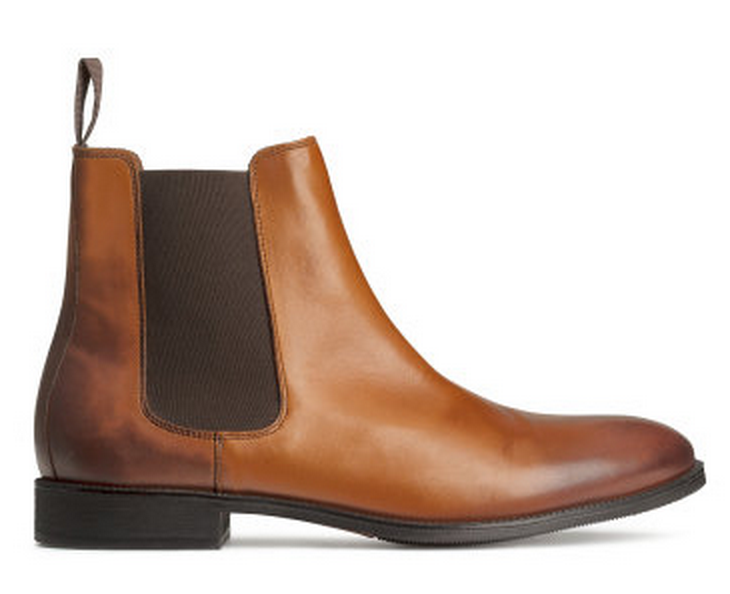 Much like the derby shoes above, H&M wouldn’t normally jump to mind as a place to get great footwear — however, they have received some acclaim for their Chelsea boots, which hit the sweet spot in terms of affordability and looks. This pair appears sleek and slim, the ideal silhouette for boots that should work with everything from slim trousers and a V-neck sweater to some dark denim and a chambray shirt once it gets warm. While the lighter tan version is flashier, it’s arguably less versatile – darker brown leather would probably go with more outfit combinations, including black denim (like David Beckham wears here). But on the more fashionable side, if you’re looking to diversify your boot selection, lighter tan fills in a gap that other boots might not. What are your top picks from H&M? Any items to recommend? Leave your thoughts below, and thanks for reading! February 23, 2014 February 23, 2014 by Beau H.
Changing up the winter routine with a newer outer layer. Jeans by Scotch and Soda. Shirt by J. Crew. Watch by Invicta. Boots by Stafford Camlin. All photos by Khoa Nguyen. In case you haven’t noticed, the theme across much of this year and last year at Siblings With Style has been dressing for the weather. Namely, extremely cold weather (comes with the territory of living in Michigan, right?). That can make things boring and sometimes mundane in terms of what to wear each day. Departing from a more routine outfit even slightly is a good way to shake things up without getting too crazy. And in the cold weather, there’s no better way to do that than shaking up layers, and reaching for a nice cardigan. Plenty of us already do this, but for those who are less acquainted (and even for the rest of us), it’s valuable to get a refresher. A casual way to switch up the v-neck sweater. 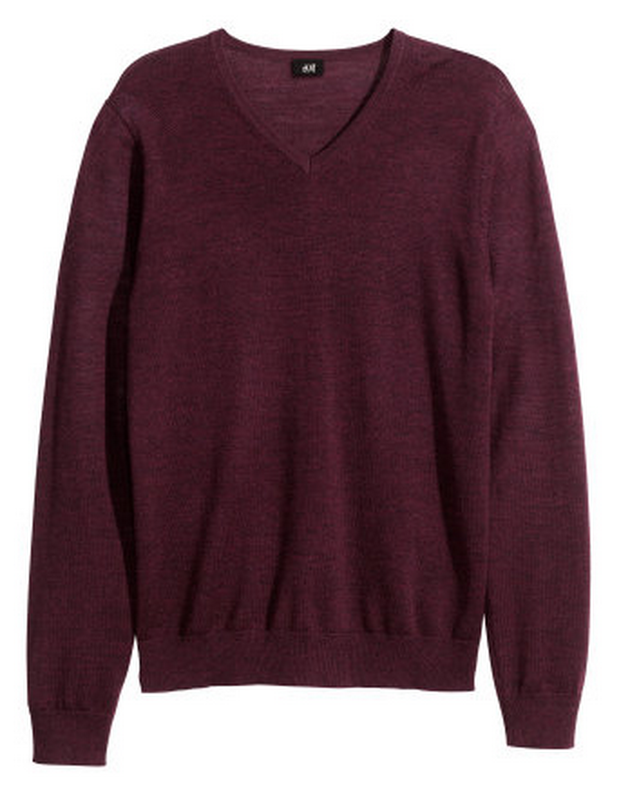 A solid v-neck sweater is a personal favorite, a go-to at least three or four days a week. But when it comes to sweaters, some trends recently have come back into vogue. Although some aren’t partial to it (and the style doesn’t necessarily work well with everyone), the cardigan has showed some serious staying power across the past three or four years. For some, it never really went away (kind of like those sharp black shoes in your closet), but when something like ‘geezer style’ gets popularized so much, it becomes ubiquitous. However, the cardigan hasn’t quite fizzled out yet, and likely won’t anytime soon. When James Bond himself (gets a lot of play on the blog, doesn’t he?) rocks a thick shawl-collar number, you know it’s almost certainly a safe bet to try. A sharper take on the shawl cardigan. Shirt and blazer by J. Crew. Jeans by Scotch and Soda. Tie by Frank & Oak. 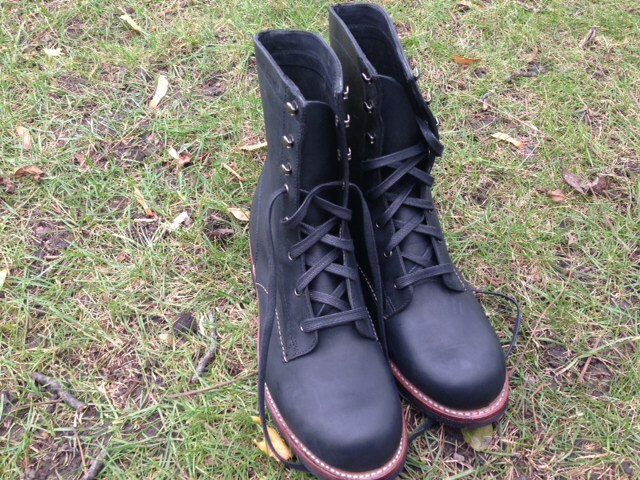 Boots by Stafford Camlin. 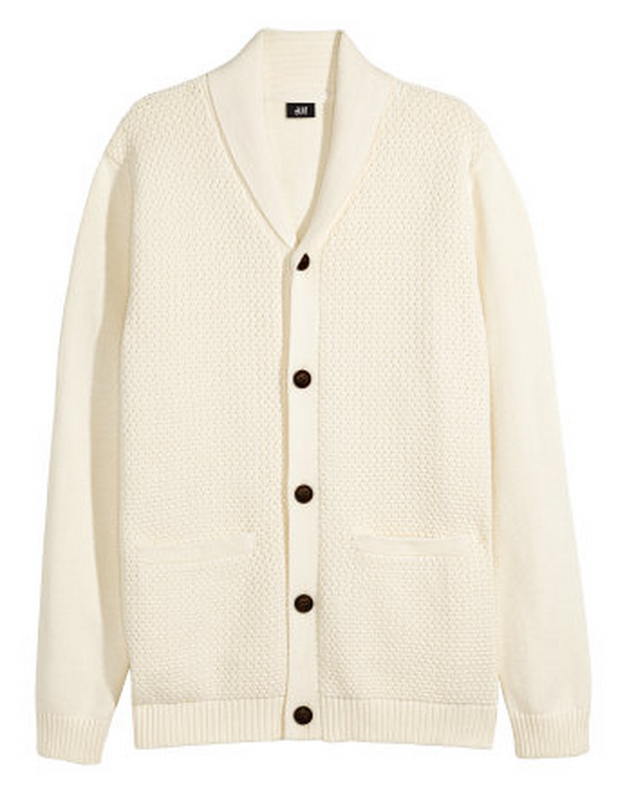 The great thing about a cardigan like the shawl-collar option from Gap pictured above, is that it can — and should — be treated just like a v-neck sweater or crewneck sweatshirt. Note that it looks like that Gap version seems to be out of stock, but this appears to be similar in terms of inspiration. 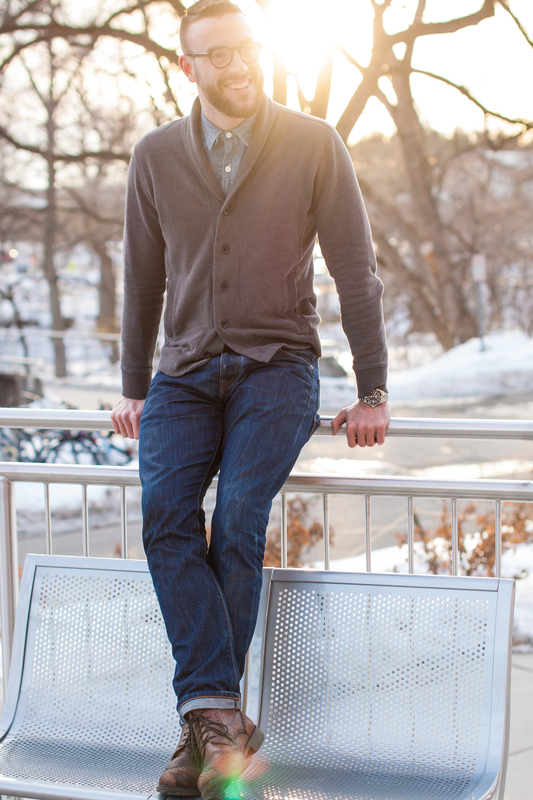 The right cardigan can be worn casually, like over a rumpled chambray shirt (see below) or a henley, or dressed up under a blazer (see above for inspiration on that). If you’re hesitant about a thinner or flimsier merino option, for example, the cardigan pictured from Gap has a very nice, thick sweatshirt-type feel to it, and the shawl adds some visual bulk — just like with the cardigan worn by Bond. On a personal note, the cardigan has held up great with weekly wear from October to now. It’s exceptionally comfortable on top of that, and it’s easy to layer, as you can see by photos with the blazer. But, size down if needed for a slimmer fit. The shawl cardigan sans tie and blazer. Additionally, because it can be treated like a v-neck sweater or crewneck, it pairs perfectly with a style staple and personal favorite, dark denim, as seen above. Along with that, a good pair of chunky boots add crisp yet rugged style to the overall outfit. In dressier situations, a knit tie adds some more texture than a standard silk tie. Work in something like a braided leather belt for even more texture and a more casual feel than a shinier dress belt. And as seems to be the case, we can look toward Daniel Craig for the ultimate example of how to wear a nice, thick cardigan. In addition to some of the examples above, there are plenty of ways to make this on-trend piece a part of your daily wardrobe.